Budweiser has its gauzy ads featuring Clydesdales horses. Deschutes Brewery, of Oregon, offers, instead, Landmarks, a video featuring a banjo, an adventure in the Oregon woods, and a skinny-dipping young woman. Why is it you won't see any 'craft' beer ads during the Super Bowl? "Are you kidding? The big brewers are 80 times our size," says Jim Koch, president and founder of Boston Beer. "Advertising on the Super Bowl is out of our league when one ad costs $3.5 million. Our money is better spent on hops." 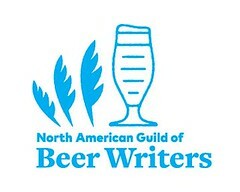 The flat reality of craft beer is that despite all the growth within the industry and excitement about its future, craft and regional brewers still make up only about 5% of all beer sold in the United States, according to the Brewers Association. Anheuser-Busch could spill Boston Beer's 2.3 million during the course of the year and still produce nearly 100 million barrels. 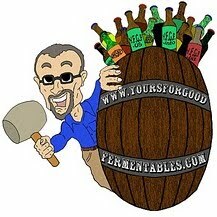 Thanks to Stan Hieronymus, at whose blog, Appellation Beer, I was first alerted to these videos. Watch more Truths In Beervertising vids from Breckenridge, including a sendup of a Corona ad: here. At A Good Beer Blog, Alan McLeod found the Deschutes video "creepy." Fun facts about beer and food consumption during the Super Bowl, and a couple of recipes: here.